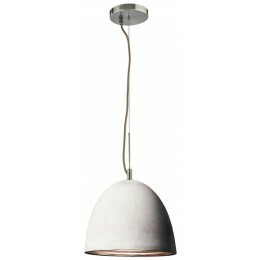 Dome shaped pendants made of concrete with interior corrugated aluminum reflectors. 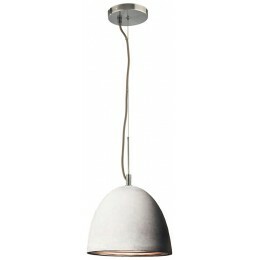 Large Castle pendant boasts a polished chrome reflector that folds open for easy lamp replacements. All Castle pendant cords are grey fabric. For indoor use.